Properly using your mobile device for video. Now that pretty much everybody has a video camera, in the form of a mobile device, more and more video from these devices is being viewed. You see video from mobile devices everywhere these days, including the national news. I have seen a lot of footage from these devices and a lot of it looks horrible. It doesn't require a whole lot of effort to make this sort of video more pleasing for viewers. Proper orientation of the recording device. There is NEVER a good reason to shoot video when your device is vertical. Every playback device is designed to be played back horizontally. Too many times people have the still camera mentality: if the subject is vertical, match the aspect of the device to the situation. This is wrong, it just makes for a whole lot of wasted space when it's played back. If you ever see this footage on the news, the news editors usually have to come up with a creative way to fill the empty spaces left and right of the image. This is usually done by stretching and blurring the image in the background to fill up the entire screen. 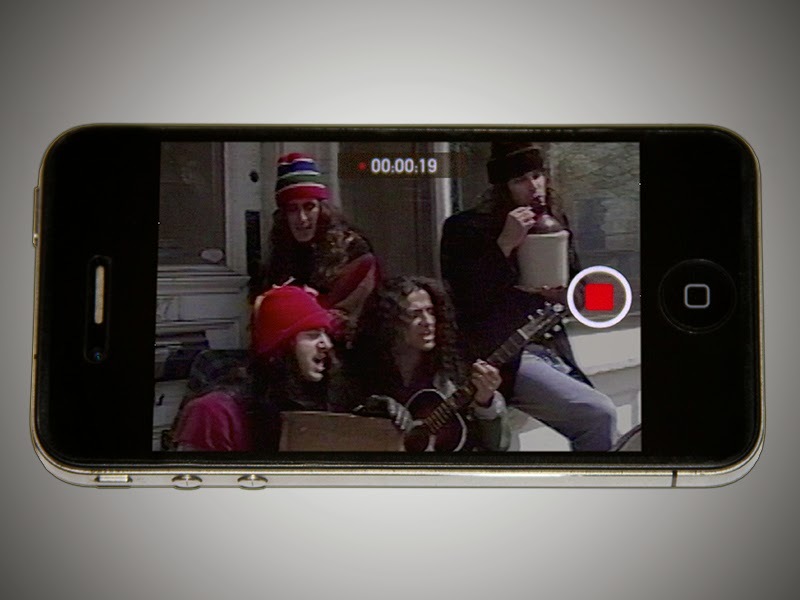 Do everyone a favor, shoot your video horizontal to begin with. Minimize quick camera movement. Try not yo move the camera to different subject areas too often. Your eyes may work that way, but when it's on video, it's too much. It's never a bad idea to either use a tripod, or a camera stabilizer like the Steadicam Smoothee for the iPhone. You's be surprised at how much these devices smooth out the action. (read my review of Steadicam for your iPhone Video Camera or A Great Tripod for Travel). The problem of quick movement is compounded by the rolling shutter found in most mobile devices. Instead of recording the whole frame of video at once, the rolling shutter method records the image as a scan, normally from the top down. Because of the rolling shutter method, the top of the frame is recored at a different point in time from the bottom of the frame. The artifacts can be almost as bad as those related to interlaced video. Hold you shots. A lot of times people will take video shots the same way they take a snapshot. Shoot a quick bit of footage and then move on to the next thing. This isn't a still photo, you need to hold your shots longer than you think you need. As an editor, I can tell you - it's never long enough. If the shot is too long, it can be trimmed in the edit. Extending a shot in the edit is much more noticeable. I see these mistakes all the time and it's a very easy fix. Most important is holding the phone horizontally. If the video is worth shooting, it's worth shooting correctly. Why not put a lille more thought into it and make it a whole lot more watchable.